It’s amazing the clarity that comes during a juice cleanse and detox. Today is the final day, and although it was a brief detox, a lot happened over the past three days. There were plenty of times that I thought I was hungry (since there is no solid food during this time). Then I realized that I was actually getting all of the nutrients that I need, so it wasn’t that I was physically hungry – I’m just in the habit of eating. I eat to cheer myself up. I eat to calm myself down. I eat because other people are eating. I eat because something looks good. I eat because something smells good. I eat because it’s offered to me. I eat because it just seems like it’s time to eat. I eat when I’m bored. I eat to keep my hands busy while I’m watching T.V. I eat to keep from falling asleep. I eat to wake myself up. I – JUST – EAT. Luckily, I am a health and wellness enthusiast, so I exercise regularly and try to make wise choices about what I eat (most of the time). If I didn’t, there’s no telling what sort of health concerns I’d be facing right now. The experience has helped me to develop a better a relationship with my body and an understanding of the areas that I need I need more discipline in. While I attended a cookout, accompanied people enjoying their great-smelling fastfood breakfast, and turned down the most delicious chocolate chip cookie-dough cupcakes I’ve ever seen (all while guzzling down my beet, carrot, and kale blend juices), I realized that the level of discipline that I am cultivating will optimize my behaviors in more than just the health realm but in several other areas of my life too. Helps spiritual cultivation through fasting and prayer (to name a few). 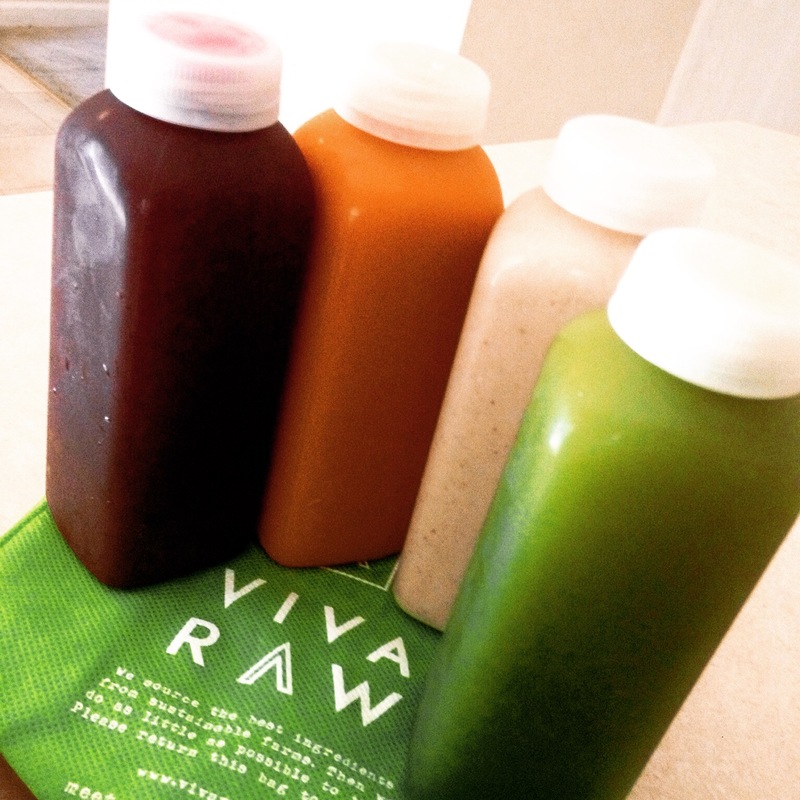 What I realized during VIVA-RAW’S 3-DAY RAW FOOD JUICE CLEANSE is that RARELY DO I EAT BECAUSE I’M SIMPLY HUNGRY. My patterns and reasons for eating teetered more on the social and psychological side than the physical. Though I have practiced mindfulness regularly for many years, during this detox I realized that I also need to be practicing mindful eating. I thought the idea of applying mindfulness methods to my food choices and eating patterns was revolutionary and original – but as I googled the concept, I quickly realized that it was not. Psychologist Dr. Susan Albers has built her body of work around the subject and offers some amazing ideas and resources to Eating Mindfully (which consequently is the actual name of her website and project). The Awareness Checklist and other great resources are available on her site. Works out great for me because it’s less I have to research and write about and more that I can just learn and apply. Find out more about what the doctor has to say on the subject. I know I will be! A holistic approach to wellness requires that we address all aspects of our being, meaning that we are engaging in activities and behaviors that foster great health on all levels of our multidimensional selves. Just as we learn to choose wisely what we take into our bodies, we learn to do the same with what we accept into our hearts, spirits, and minds.